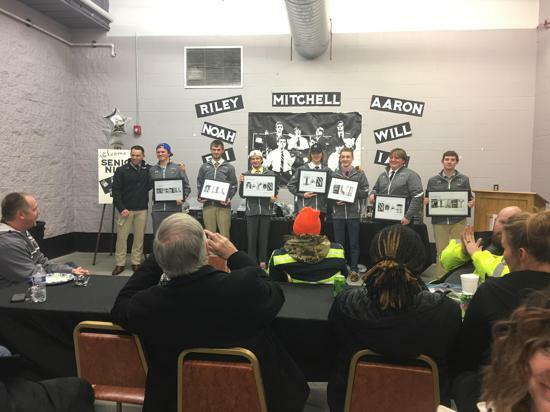 A very special thanks to all of our seniors of the Ice Bears 2017-2018 season, Eli Kopish, Aaron Eckert, Mitch McCreedy, Will Oppermann, Noah Mundt, and Riley McClarran and to Buster Hebda for the senior salute and presenting of gifts. The evening was a success, all players, families, and friends who attended were welcomed with a nice banquet that was organized by Val Aspenleiter. 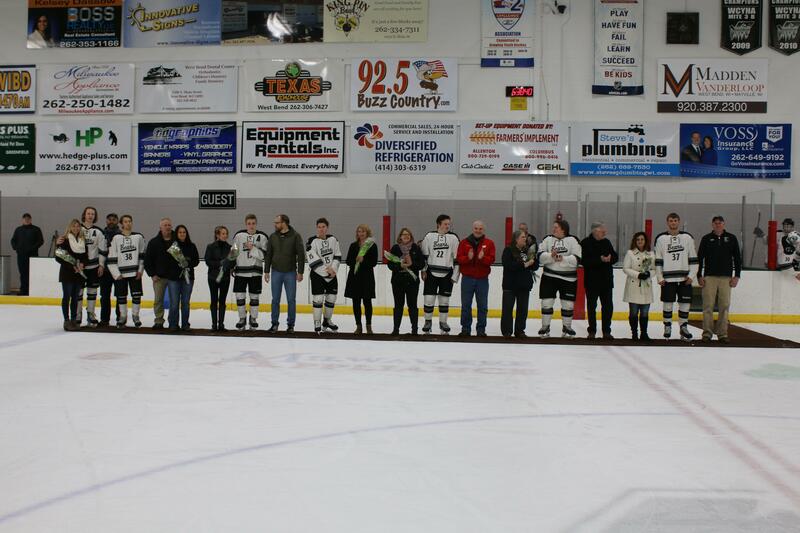 The rink was also nicely decorated and the gifts for the seniors were very thoughtful. Some of the parents who kindly helped Val coordinate the event were Gina Bandholz, Scott and Erika Day, Eileen and Charlie Voigt, and John Aspenleiter. Kathy Schaier arranged the carpet event on the ice for parents to receive a rose from their skater. Fred Kandel so nicely agreed to be the announcer for the evening, and Gina Butler for taking pictures. A huge thank you to Val for her time and to all involved, it was a very nice evening for the seniors and their families & friends!